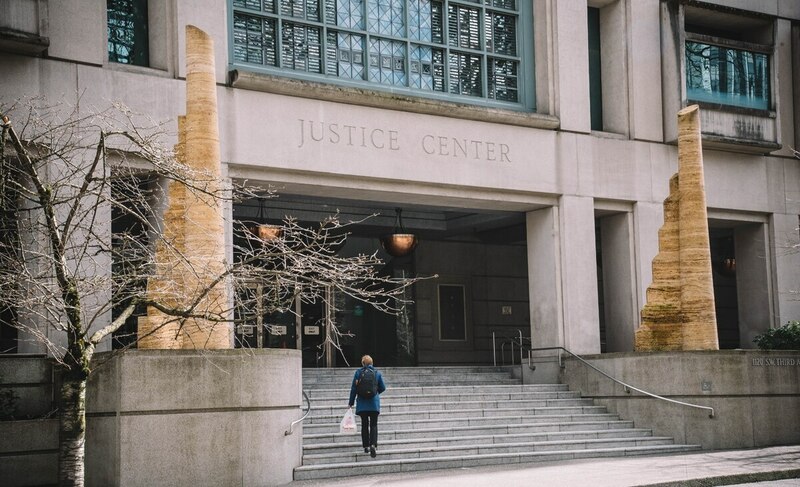 In U.S. courts, defendants are guaranteed the right to an adequate defense under the Sixth Amendment, but a study authored by the nonpartisan nonprofit found several shortcomings in Oregon's public defense system. David Carroll, the executive director of the Sixth Amendment Center, presented the report's findings Thursday morning. Carroll said his team heard a repeated message from the public defenders they talked to: "We are being asked to do more and more with less and less." High case loads, low pay rates and a complex, bureaucratic method for assigning cases led the Sixth Amendment Center to conclude that Oregon's public defense system is not passing constitutional muster. The report, which was first obtained Wednesday by OPB, highlights a lack of oversight over contracts that outsource public defense services to private attorneys and nonprofit public defenders offices across Oregon. "The state of Oregon has no mechanism to know whether it's fulfilling its obligation to provide counsel to the poor who face incarceration in the justice and municipal courts," the report says. It also suggests scrapping the state's current "flat fee" compensation structure, which pays most public defenders by the case. The Sixth Amendment Center recommends replacing flat fees with an hourly pay rate for defense attorneys who represent low-income defendants. That shift would minimize a perverse incentive to wrap up cases as quickly as possible to maximize earnings—even if spending more time on a case might benefit the defendant. Carroll said that the pay for public defenders in Oregon is "incredibly low." The U.S. government pays federal public defenders about $150-an-hour, but Oregon pays approved private attorneys who are appointed to defend indigent clients just $46-an-hour, Carroll said Thursday. Most of Oregon's public defenders work on contracts that pay a few hundred dollars per case (more serious offenses come with higher rates). Related: Public defenders make far less than prosecutors. An Oregon lawmaker wants to give them a raise. Part of that gap has been created because public defenders have not received raises as frequently as other state workers, Carroll said. If Oregon's public defenders had received cost-of-living pay raises with other state employees, he added, their per-hour pay rate would be about $125-an-hour. One question posed at the hearing was whether shifting to per-hour pay would lead to more trials and a more expensive criminal justice system overall as public defenders choose to spend more time on cases. Carroll said more trials were likely, but other cases would resolve more quickly. "In a well-funded system, you get appropriate outcomes faster," Carroll said. Carroll's group proposed an ambitious solution: Move away from primarily using non-profit public defender organizations and a consortium of private defense attorneys and replace that outsourced system with staff attorneys who work for the state. That kind of state-employed public defense system would more closely mirror the district attorney's offices in the state. It is also a much more significant structural change than the Legislature has considered in the recent past. However, legislators have been looking into more robustly funding public defense services for years. House Majority Leader Jennifer Williamson has proposed multiple bills aimed at creating pay parity between public defenders and prosecutors. 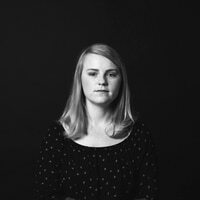 "Right now in our state, public defenders are being handed massive caseloads defending some of our most vulnerable populations, but are not being fairly compensated for that work," Williamson said in a statement. "During the upcoming legislative session, we have an opportunity to fix this broken system and ensure every Oregonian has the legal representation they are promised by the U.S. Constitution." Rep. Jeff Barker has also voiced support for raising pubic defenders' pay in the 2019 legislative session.